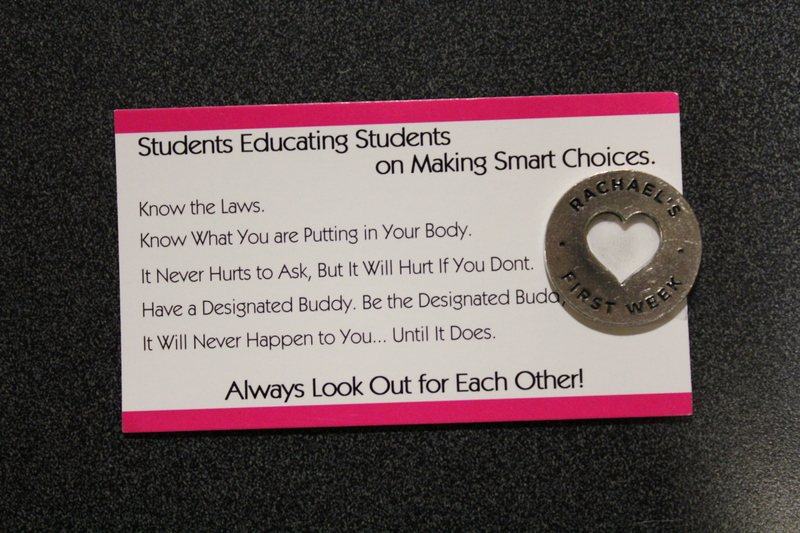 Butler University’s Student Government Association presented the story of Rachael’s First Week Sept. 22 to talk about the seriousness of drinking, especially prominent during Homecoming Week. Two years ago, Rachael Fiege left her hometown to attend Indiana University. On Aug. 23, she went to her first party, fell down a flight of stairs and hit her head. Her friends saw her passed out and set her on the sofa to rest for the night. The following morning someone noticed that Rachael was not breathing and she was taken to a local hospital. Later that morning, after only two days of school, Rachael died. The presentation of Rachael’s First Week delivered a roller coaster of emotions. To begin the demonstration, a montage of Rachael’s life was shown. Peering through the audience, people stared in disbelief and even a few had tears welling in their eyes. One of those was Rachael’s mother. Rachael’s friends and brother stood in front of the assembly and told their side of the story. The tears subsided momentarily after Rachael’s close friends shared stories about her sparkling personality and likeness to the Full House character Kimmy Gibler. But those laughs were short-lived. The group of friends went on to share their feelings when they got the news that Rachael was dying in the hospital. Each person described that tragic time and how it lives on with them today. The presentation explored the importance of looking out for your friends at parties and having an exit strategy. The Indiana Lifeline Law was also discussed. This law provides immunity for minors in possession and consumption of alcohol if a person calls the authorities for medical assistance due to an alcohol-related emergency.